ONE (1) package of CHRISTMAS REINDEER - CUTplorations Thin Metal Die. There are 3 thin metal dies in the package (one die doubles for the two leeping reindeer that are mirror images of each other). The dies are packaged in a 3" by 6" resealable bag. 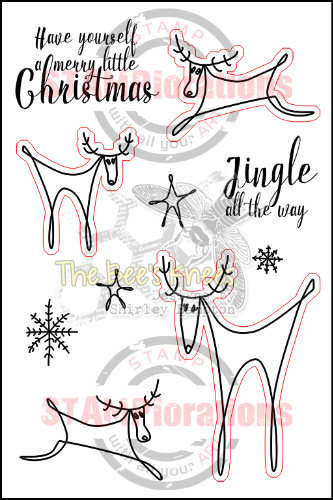 This die set coordinates with the Christmas Reindeer stamp set.